FZ25 does what it is intended to do. Click pic to read our detailed review.. Guess I’ll have to start this one with a disclaimer. Here it is, then: Please note that out of the four motorcycles I own, three are Yamahas. The fourth one happens to be a Jawa 250 (in case you’re wondering), which was the first motorcycle I’d bought. The fifth bike in our household is my younger brother’s R15. Yes, again a Yamaha (that line sounded quite like the company’s catchline “Yes! Yamaha”, but it was unintentional). However, I had bought all my motorcycles much, much before I got into automotive journalism. Yamaha India didn’t “gift” anything to me. That’s a privilege extended to only a certain Mr. Abraham. Why this disclaimer, you ask? 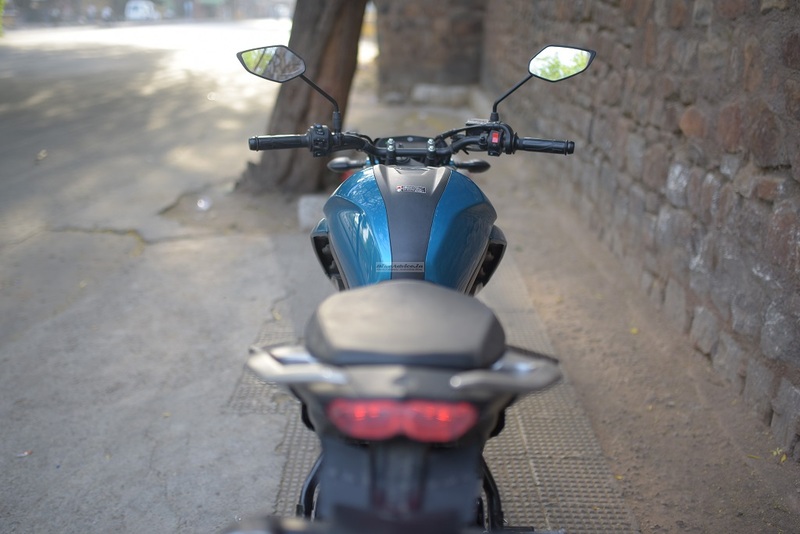 Because, as I begin to write this, the Yamaha FZ25 review, I have a strong feeling that this review might sound like what some imbeciles call a “paid review”. Although I am not answerable to them (we are answerable to the genuine readers, and this article – NOBLE Prize in Automotive Journalism: Reality Check – was therefore written specially for them) I strongly believe that even the most vicious and malicious hearts can be cured by truth. Hence, the disclaimer. I really do feel compelled to tell those kind of folks that, forget a ‘payment’ or an ‘incentive’ of any sort, most of the times we do not even get a test vehicle on time, or for enough time, upon our first request. And when we do get it, most of the times it is in not too good a state. Heck, on one occasion, I have even been given a litre-class motorcycle for review with less than a litre of fuel in it! 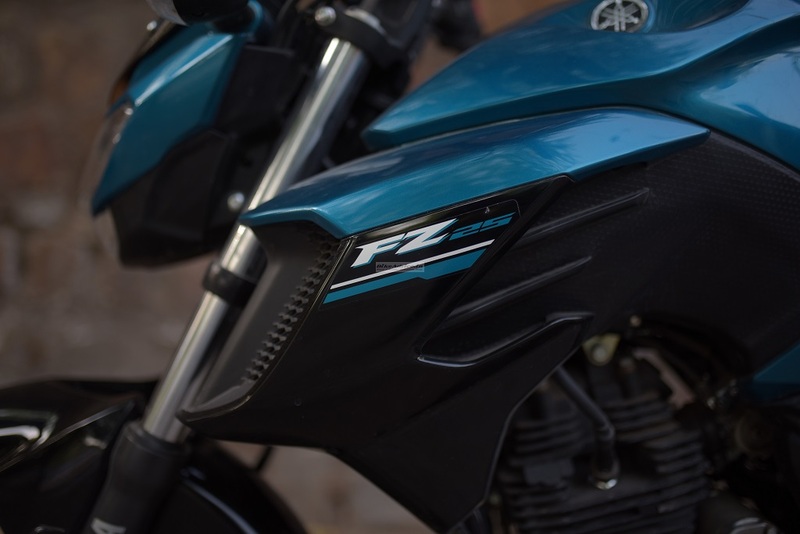 I don’t know if they misinterpreted the meaning of ‘litre-class’… Okay, enough of the rant; it’s now time to tell you all about the FZ25. Before I even talk about the design, let me tell you that I have a big problem with the name given to this motorcycle by Yamaha. Why call it FZ25 and not FZ250? The latter would have been more appropriate and hard hitting. How would you feel if the KTMs were known as the Duke 39, Duke 20, D25, etc.? The message was driven home further when I got at least seven “what’s the cc?” queries for this motorcycle. Yes, I counted. Come on Yamaha, it’s your first quarter-litre bike in India, and you completely miss the point when it came to the nomenclature? Great! You, of all manufacturers, should not forget that we are a people who, while repainting our RD350s back in the ‘80s and ‘90s, used to write ‘350’ on the RDs’ fuel tanks in billboard-shaming proportions! The next worst thing I saw later in life was a gent, in the radius of less than a half a kilometre from my residence, peeling the GT250 stickers off his Comet and replying with a smug“650!” remark upon being its cubic capacity. 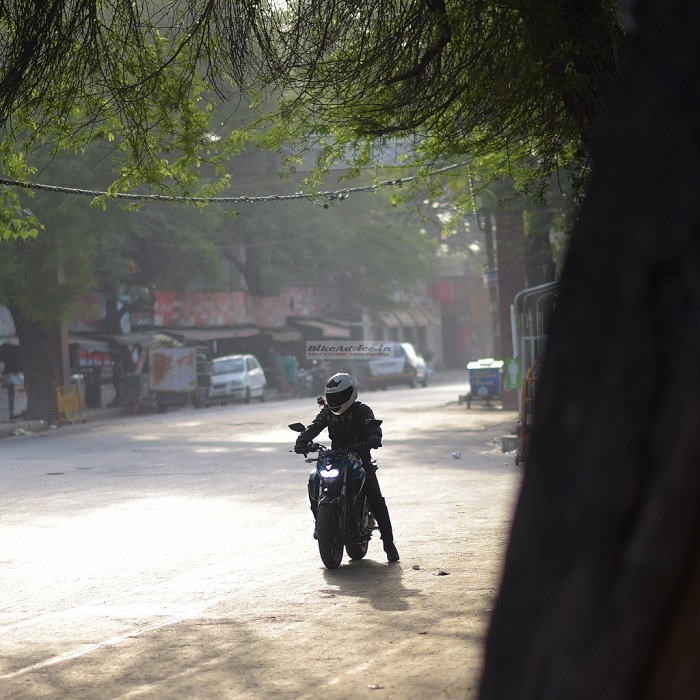 And then there are at least two small Harley-Davidsons in my locality that look like Hyosung Aquila 250s… Point is: no manufacturer should undermine our obsession with, er, the size of the engine. But Yamaha have got the stickering on this motorcycle oh-so-beautifully correct! 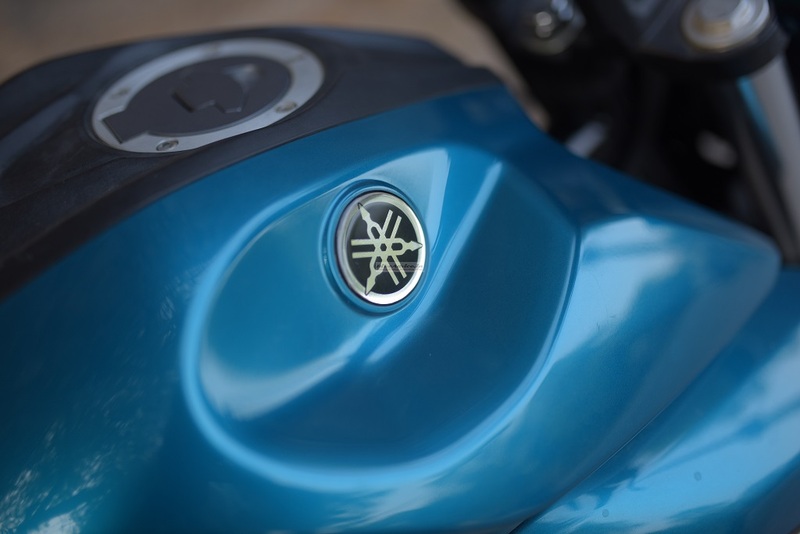 The tuning fork badges, FZ25 & Yamaha decals, and Blue Core stickers – all have been used minimally. The only other manufacturer that comes to my mind that does that is Ducati. That in itself says a lot. If it doesn’t, then let me tell you that the use of zilch stickering denotes how strong the design is, whereas a splattering of graphics, contrary to what that manufacturer believes, shows how weak the design is. Remember the HH Glamours and Passions I talked about in the Victor’s review? I would give ten on ten to Yamaha for keeping it clean with the FZ 250 (yes, I’ll call it that whenever I feel like; deal with it). of three reasons: a) Just look at the bike from this angle! Isn’t it the most sculpted of the lot? It exudes power, and there is more than a passing resemblance to the MT-09. b) Did you notice the position of my right foot? Okay, you can’t really see it completely, but I am sure you can determine looking at the picture that how comfortably I have placed the balls of my foot on the ground. Usually, it’s just the toes. c) Instagram isn’t dying anytime soon. The fit and finish is typical Yamaha (read: “the benchmark”), but the company could have done a better job with the instrument cluster. No, there is nothing wrong with its quality, and I don’t care about the gear indicator; it’s just that it looks too dull. If costs were a concern, they could have taken the R15’s unit – it would have further brought the cost down while still looking a notch or two better than the current one! It tells you both the real time and average fuel economy though. 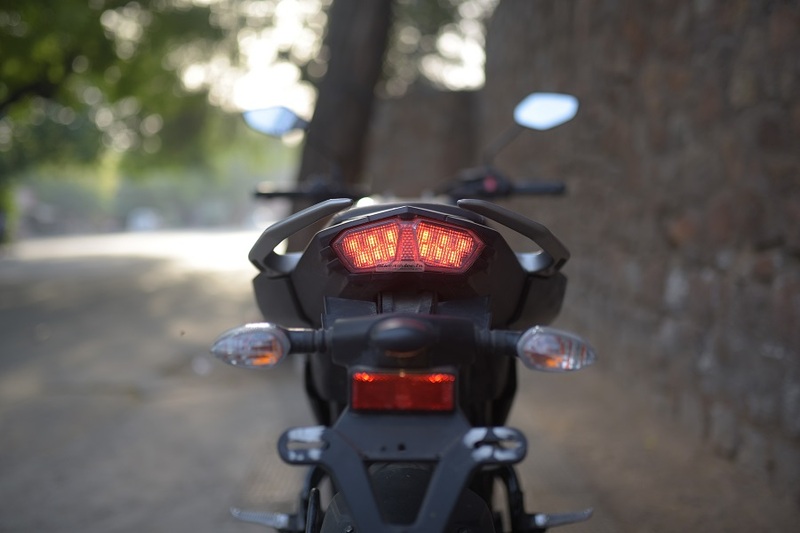 The LED tail light looks pretty and while the headlight is all LED affair, the overall brightness can at best be termed as adequate. Riding at night would not be strenuous though, but I would have still liked a better spread from the high beam. The throw is good, but it’s so concentrated that it looks like an Eveready flashlight than a proper headlamp. It must have been said a zillion times earlier, but there is no denying the fact that the Dominar has upped the bar in this department to a level that looks out of reach for other manufacturers at the moment. 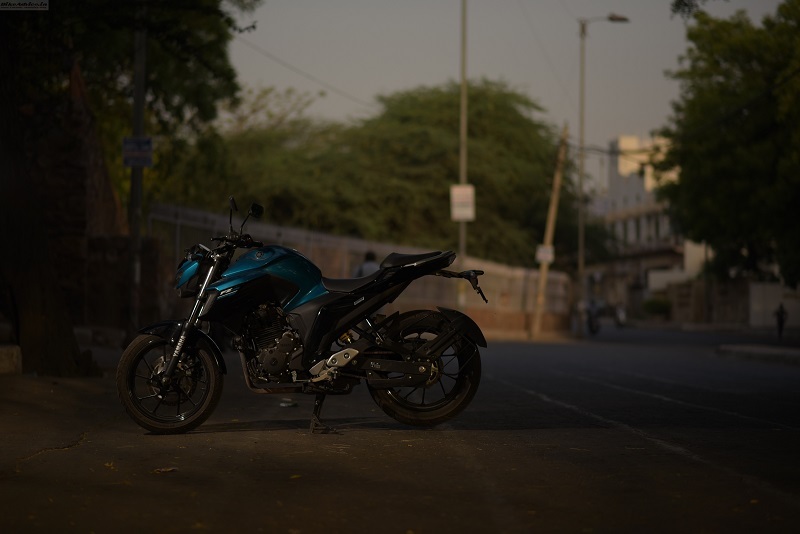 Still, the FZ’s low beam saves the day, er, night – the throw and spread would suffice for most nocturnal outings. The headlight is always on and the pass function / high beam flasher is operated by pressing the beam selector. 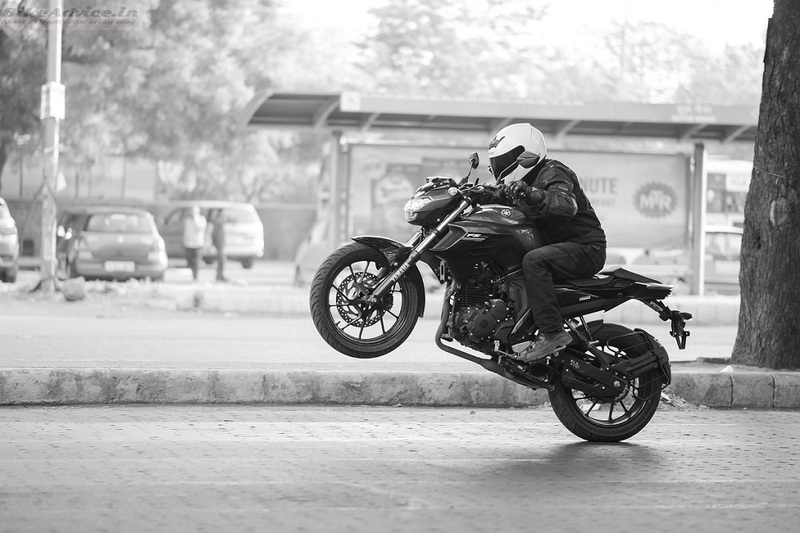 The seat height of the FZ25 is 795 mm which makes for an easy reach for shorter riders, as I did mention above as well. Taller riders won’t feel cramped too; our six-foot tall photographer approves. 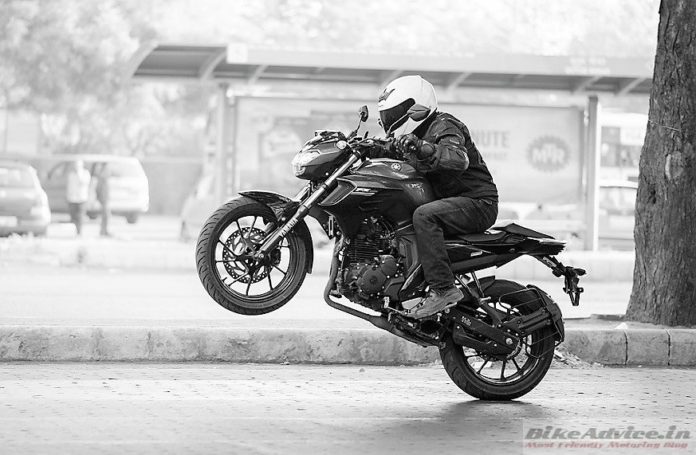 The riding position as a street fighter is spot on – fairly upright with rear-set pegs. Thankfully, the pegs are not that far behind that it confuses the pillion. Both the rider and pillion seats are comfortable and my daily over-60 km commute never became a pain in the derriere. The adage “don’t judge a book by its cover” in motorcycles terms would translate to “don’t judge a motorcycle by its spec sheet”. 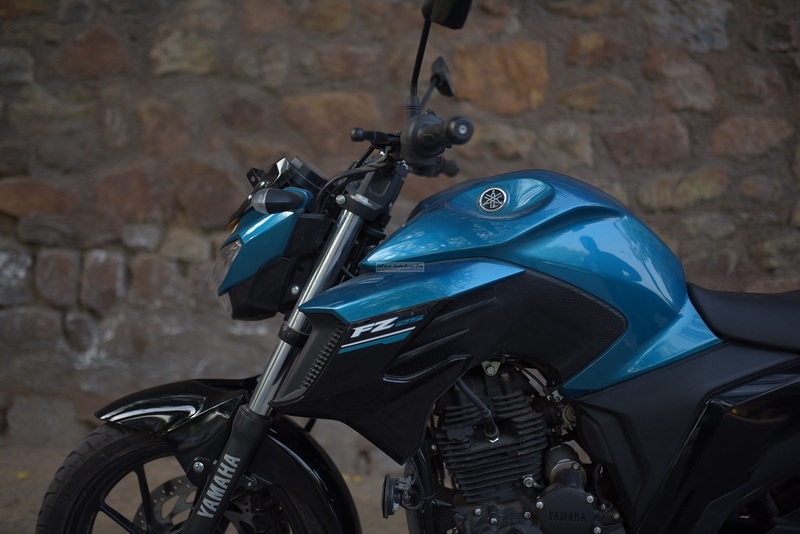 And if this becomes a trend, the Yamaha FZ25 would rightfully go down in the history books of four-strokes in India as the progenitor of this trend. 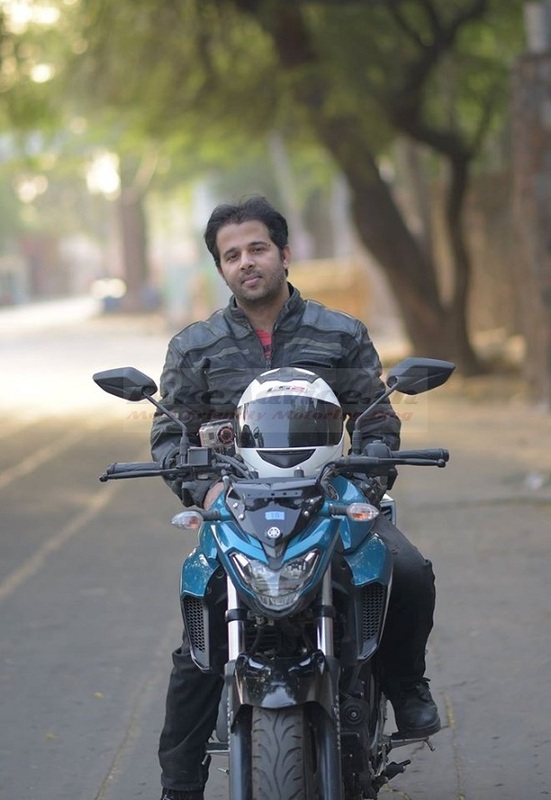 It has already been proven by dear friend Sagar Sheldekar that despite being almost 10 horsepower down than the Duke 250, the Yamaha is quicker to the ton, and even has a higher top speed than the KTM. I shall let our raw video clips reiterate that. You don’t have to be from Aryabhata’s bloodline to be able to deduce from the numbers above that the Yamaha FZ25 is the quickest 250 cc motorcycle in India! Not only that, it sounds throaty too without getting gruff at any time. In fact, the mild bass in the exhaust note at idle itself tells you that this motor surely has something in it. You press the light clutch, select first, and immediately realize how eager this engine is right from the very moment you let the pressure plate spring into action. Do that a little enthusiastically and the front wheel will give you a standing ovation. But it’s all controllable on this motorcycle as the FI is absolutely PERFECT! It’s smooth without making the engine sound or feel like a sewing machine, and there is always an instantaneous surge available irrespective of the revs you’re at! That means you’d seldom need a downshift to overtake most traffic. You might do it by force of habit, but this Yamaha doesn’t demand that. In fact, the grunt just doesn’t call it quits even at the top-end, though you can see above that the bike takes quite some time to reach 140 km/h from 130 km/h. Of course, it is natural for the power and torque graphs to taper off hitting their respective peaks, but it’s the degree of descent that matters. I don’t want to confuse you so, in simple terms, what that means is that the bike feels almost as strong from 130 km/h to 140 km/h as it does from, say, 120 km/h to 130 km/h. This also brings to light the fact that the obvious, but petty differences in stopwatch times do not really matter in the real world. 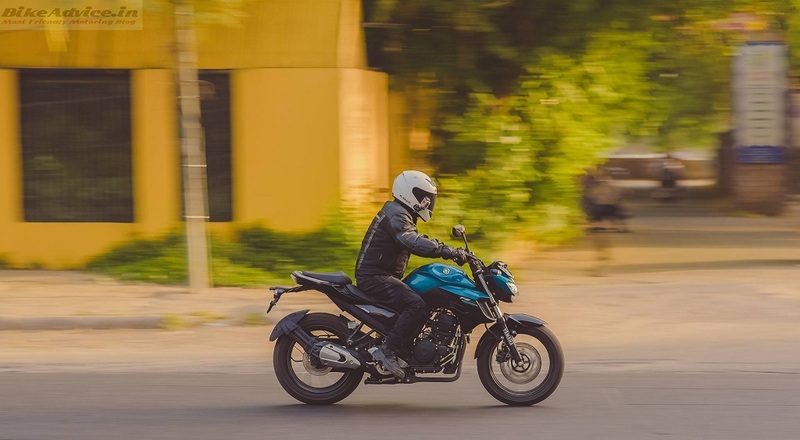 What matters is the confidence a motorcycle’s behaviour bestows on you to take those gaps in traffic neatly, and successfully, without causing a heart-in-mouth situation for yourself or for the other road users around you. This Yamaha 250, then, is as encouraging, dependable, and loyal as your best friend who is always your partner in crime in fun times, but is also be the first one to stop you from going overboard and becoming dead meat. So while the FZ’s 250 motor will invariably egg you into going faster than usual, its brakes will ensure that you keep having fun for a long time to come (did that rhyme? I guess it did). The brakes are more progressive than Sweden and provide more feedback than an overt shrink. I have always maintained that good brakes are redundant if the tyres are not upto the mark. 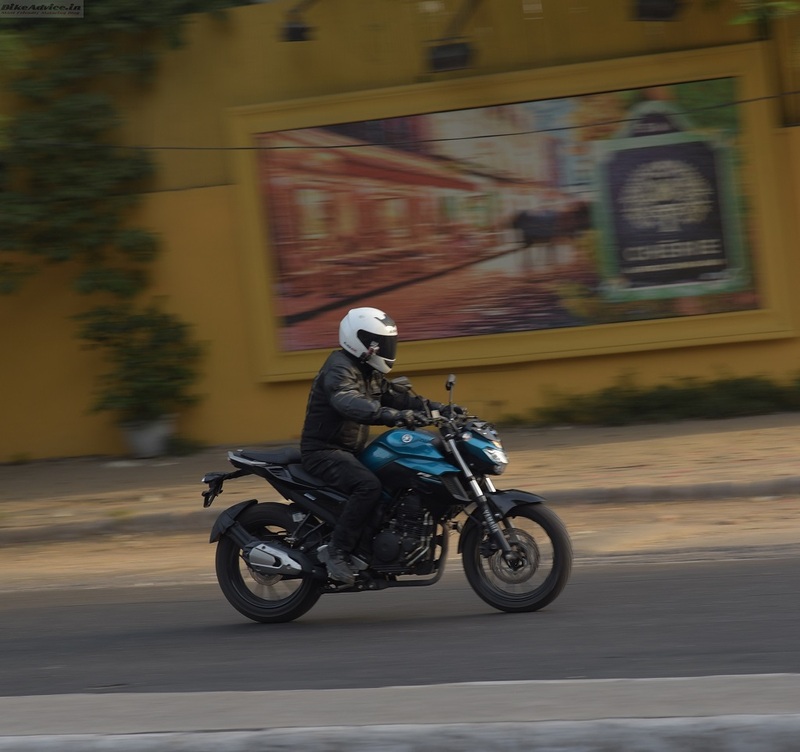 I am happy to report that there were no involuntary skids and lock-ups from either end (100/80 front and 140/70 rear) of the FZ25. Still, Yamaha should have provided ABS as an option. I know of at least one person who says he won’t buy this motorcycle because it does not have ABS. Just so you know his daily ride is an R15, and he is a mechanical engineer. No, he is not a wimp. 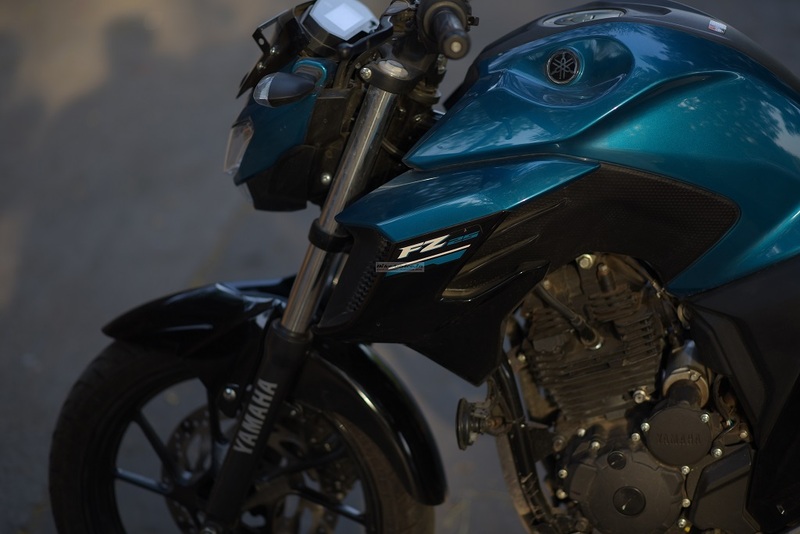 The FZ 250 is a light bike – it weighs 148 kg with a full tank of fuel! 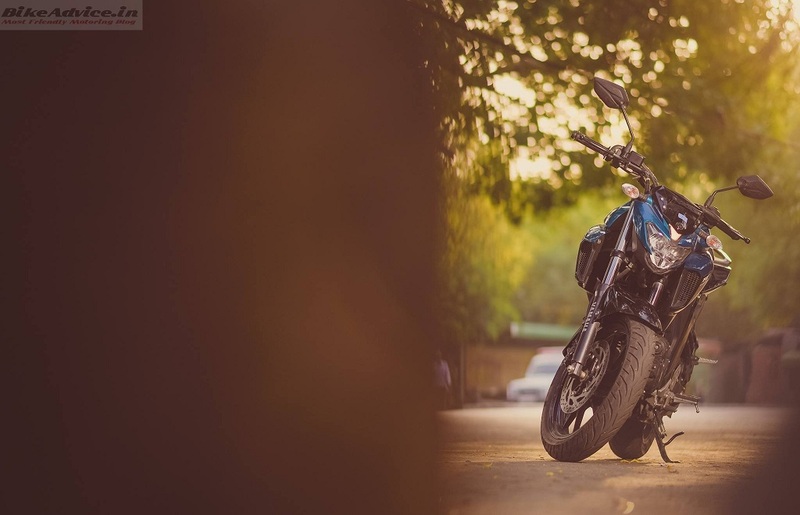 As such, flicking this bike from side to side is a cinch, and you just won’t get tired commuting on this motorcycle even in peak hour traffic. 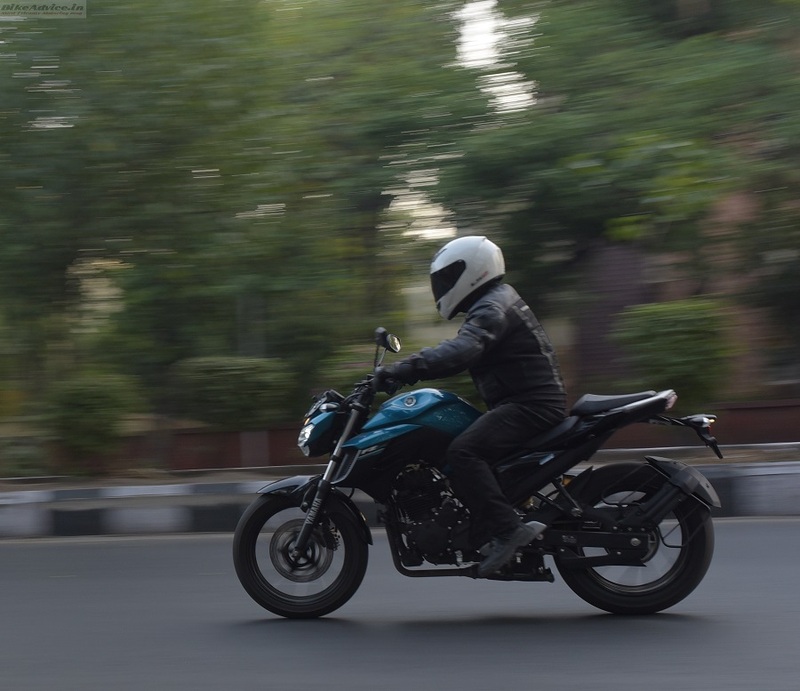 However, the best part is that, despite the lightness, the feeling of solidity remains common to all FZ models which brings about sure-footedness in both corners and straights, irrespective of the speed. The 250 is no exception and its new diamond frame displays impeccable manners in corners, though heavier riders might need to play with the monoshock preload to find their sweet spot. Factory setting (number 3 of 7) worked great for my weight (55 kg) in both the crucial factors – maintaining composure in corners, and not breaking my back or shaking my joints loose on bad roads like the KTMs. 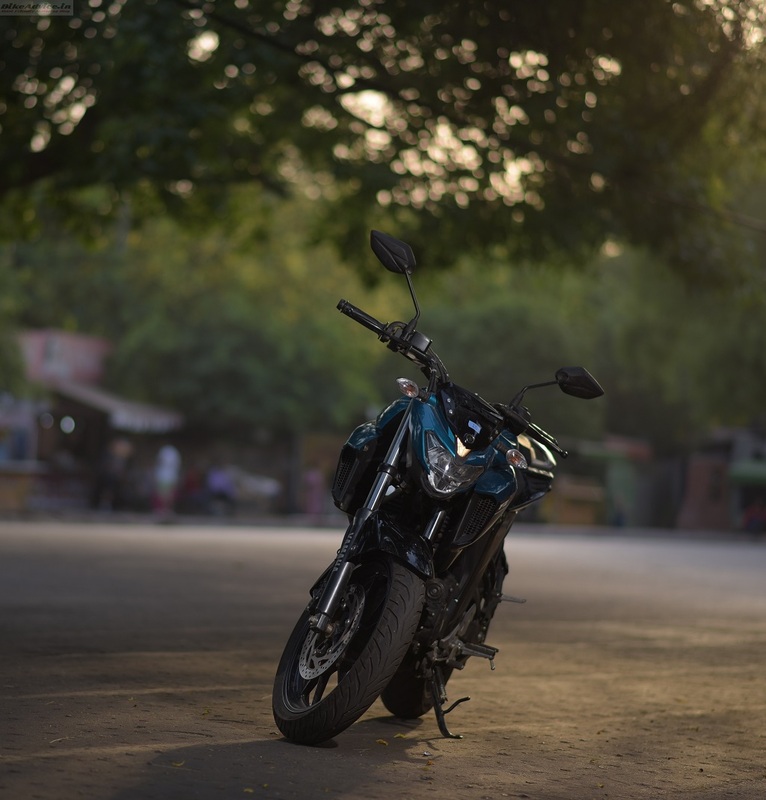 The RTR 200 still remains the king in ride quality though. Did you see the ‘average’ fuel consumption in the instrument cluster’s picture a while back? If you did, you may as well worship it now because I just found out (while calculating the average) that it’s the most accurate fuel consumption indicator that I have seen yet! 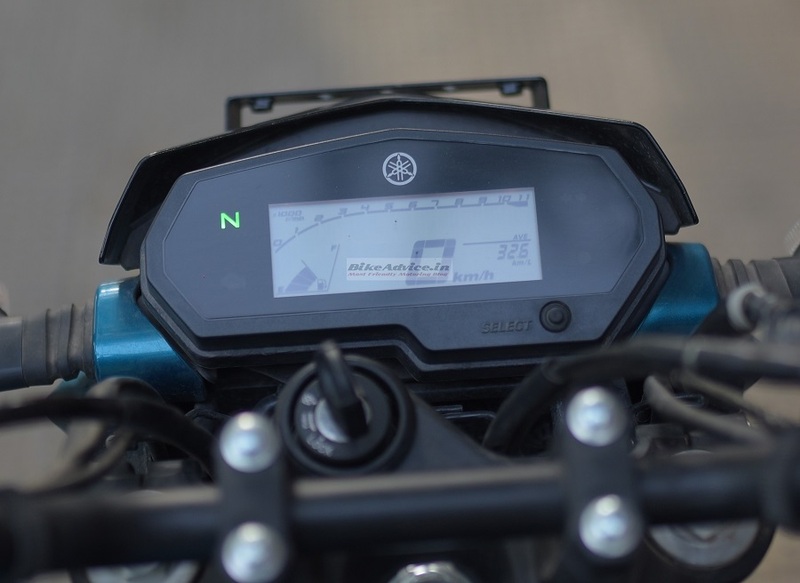 I say that because the bike showed 32.6 km/l on the display while returning a near identical 33.04 km/l! Mind you, this was when I was riding to the limit 80 per cent of the time. Okay, I confess, make that 100 per cent of the time, whenever I got the opportunity. So this is no ‘average’ fuel consumption figure; it might just be the worst you can expect after running-in the motorcycle. I would stick my neck out and say that you may expect 35-37 km/l in the city and over 40 km/l on the highways, if you are not redlining it in every gear. You should have already had one by now. Okay, I understand that you need mine as well. See, I had been recommending this motorcycle to people even BEFORE I could lay my hands on it. Why? Because sometimes you just know. 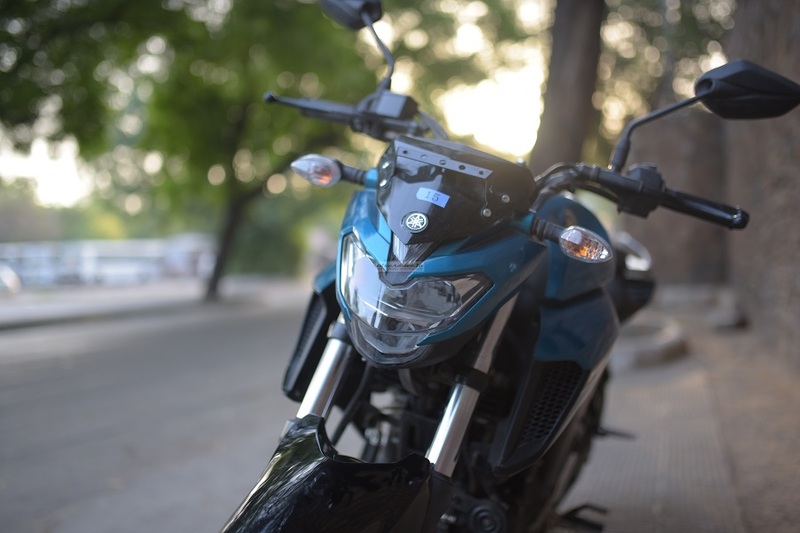 Okay, not all of it was gut feel; the precedents set by Yamaha; friends’, acquaintances’, and my own experience with the company’s products, and the fact that this 250 cc motor is a tried and tested unit – all of that shouted from a mile away that you can’t go wrong with this motorcycle. Having said that, like all others, even I was a little sceptical of how it would fare against the KTMs in pure performance terms. Forget beating the Duke 250, I am sure that no one, no bloody one, would have expected it to beat even the Duke 200. But it did. 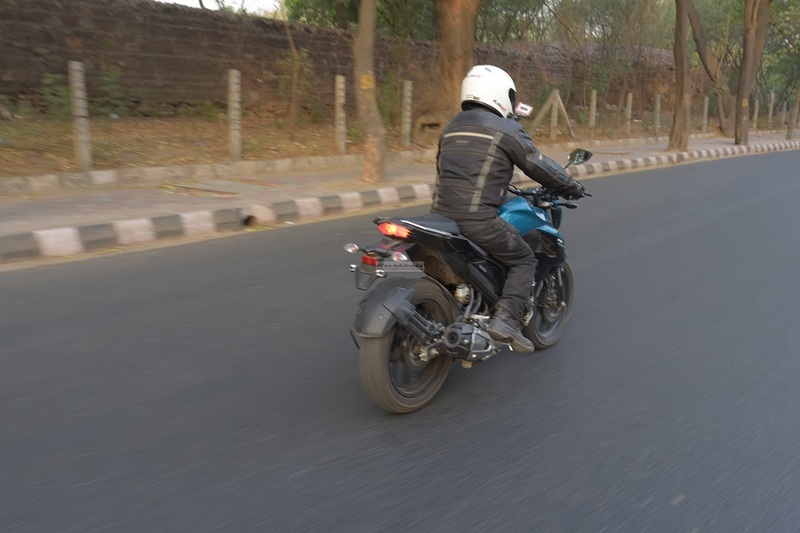 And it does that without losing its temper – that too in the worst Delhi summers that I tested the bike in – while the KTMs, despite liquid-cooling, offer free hair-removal therapy for your lower extremities all the time. The Yamaha’s simple, and robust, two-valve engine is air- and oil-cooled, and since it’s not as stressed as the KTMs, it will never heat as much. So, other than not roasting your legs, it would prove more reliable in the longer run than the Austrians. Though I personally don’t believe much in preservation and longevity, I had to mention it because most users do. I think, with the FZ25, Yamaha India have outdone themselves. Unintentionally. And I say that from an enthusiast’s perspective. See, I love the KTMs, and that is why we have a 390 too in our family, but, come to think of it, until the FZ25 came, our market just had three kinds of motorcycles in the premium segment – fast but unexciting (CBR250, Mojo, CBR150, Dominar, etc. ); fast, exciting, but unnerving (the KTMs); and slow, unexciting, and unreliable (the REs). 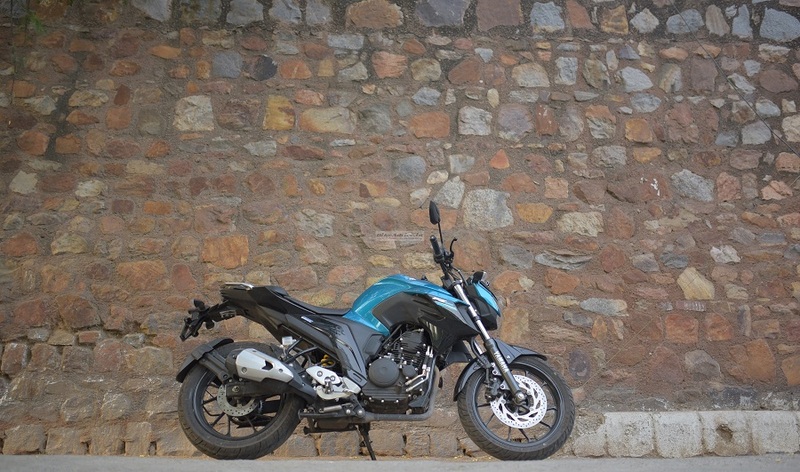 Now, the FZ25 has started a niche where a bike can both be fast and exciting, but still remain unthreatening! 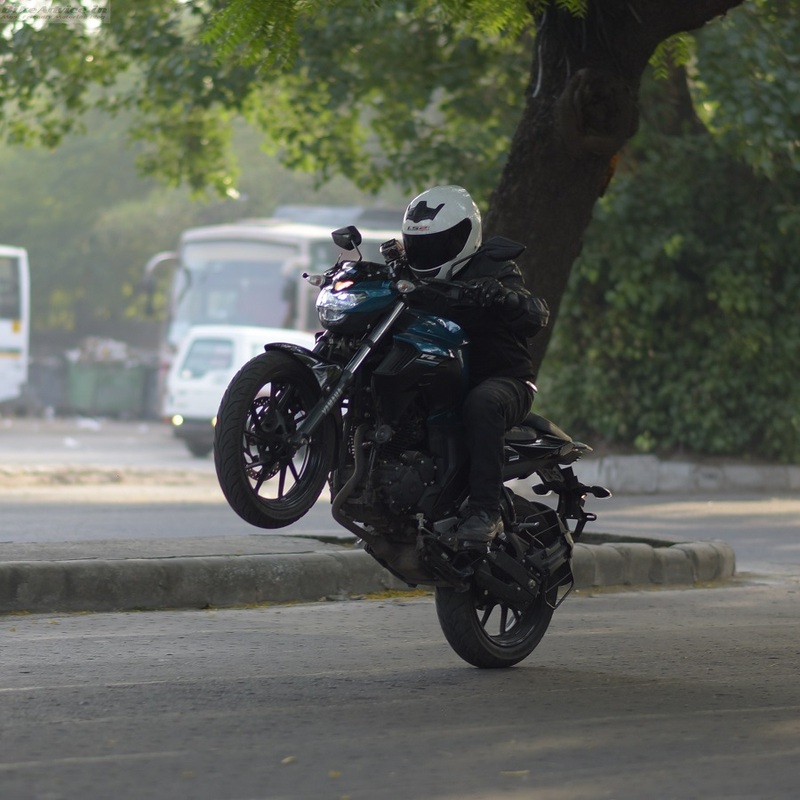 The FZ 250 is one such fun bike. It would neither put you off to sleep at 100 km/h, nor would it cause you to increase your heartbeat idle speed unnecessarily to 2,000 bpm every time you want to go for a ride. Oh, and it would do the customary Leh trip, solo, without breaking down and without needing you to carry a mechanic and 183 kilograms of spares along. At INR 1.19 lakh (ex-Delhi) that’s a lot of fun, excitement, and reliability for your money. Might be too good for some. Brilliant package. Yamaha strikes again...!